We're liking Yogi's way and we're liking it a lot. we're not sure how it escaped our attention for so long, but we are aware now and that's all that matters. 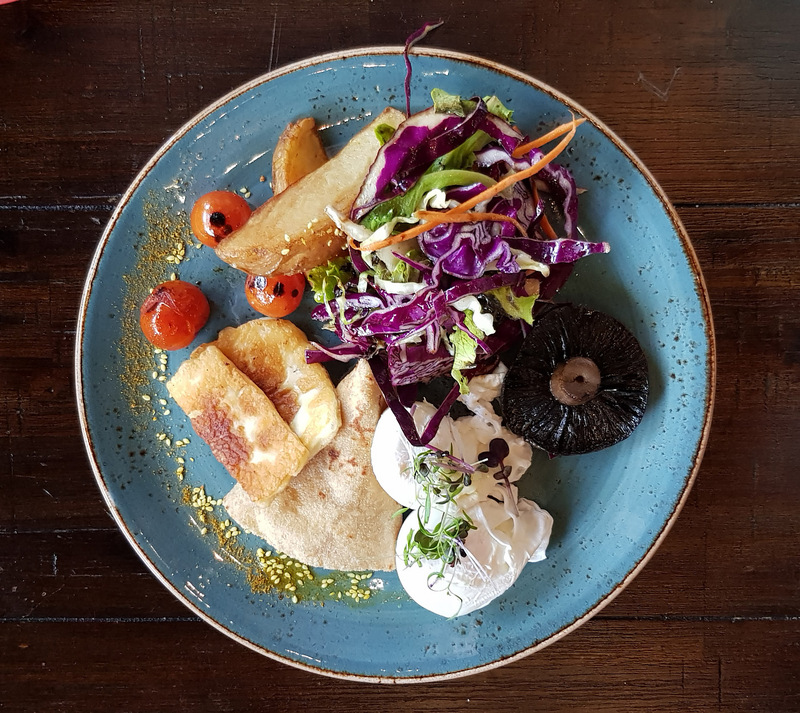 The breakfast has the usual array of modern Australian classics all at surprisingly reasonable prices. The taste, presentation and serving size would indicate something worthy of a much higher price tag. 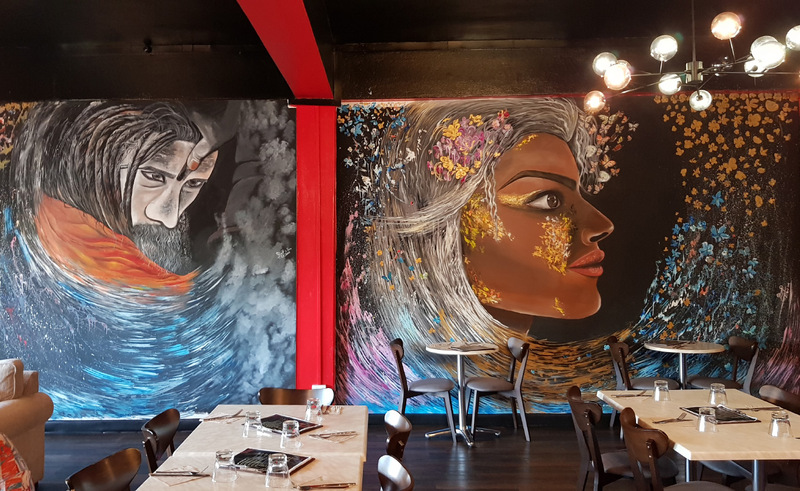 Every element on the plate is prepared perfectly and plated as beautifully as the artwork on the walls. It was an easy thumbs up all around at our table. 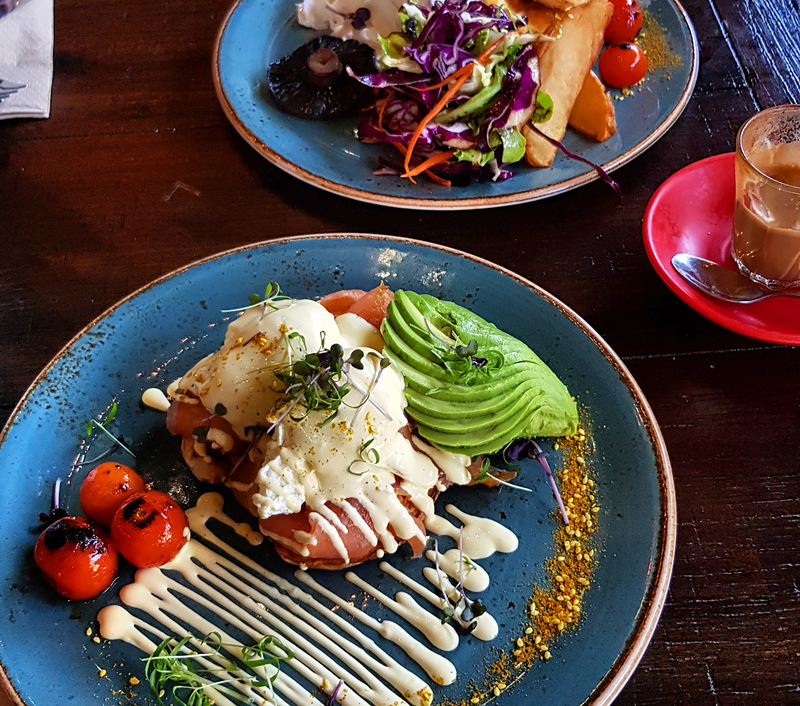 A wonderful breakfast destination to add to your weekend catchups list. For my lunch visit I had a beef burger. 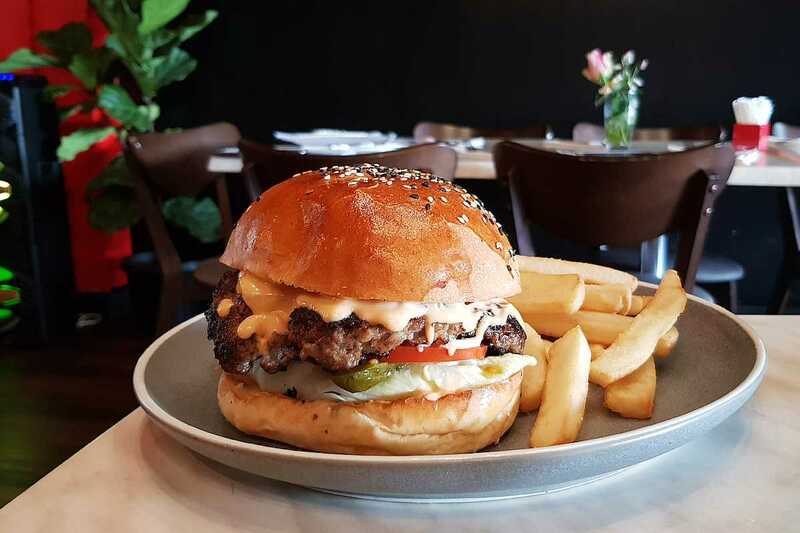 A good burger is a key metric of a good cafe and these guys have done a great job with a lovely tender and juicy patty, combined with a pleasurable sauce that my tastebuds agree too immensely. On a side note, if you're a single male playing the Tinder game, Friday afternoon's here seem to be very popular with the sophisticated young professional ladies. Perhaps you could casually sit on the couch by the front door dressed in your cross fit attire, read a book on wellness whilst sipping on an almond milk latte and wait for the right moment to strike up a conversation. No guarantees on success though — I'm good at eating food, not at picking up. I was so impressed with the breakfast I brought the family back for dinner the same night. 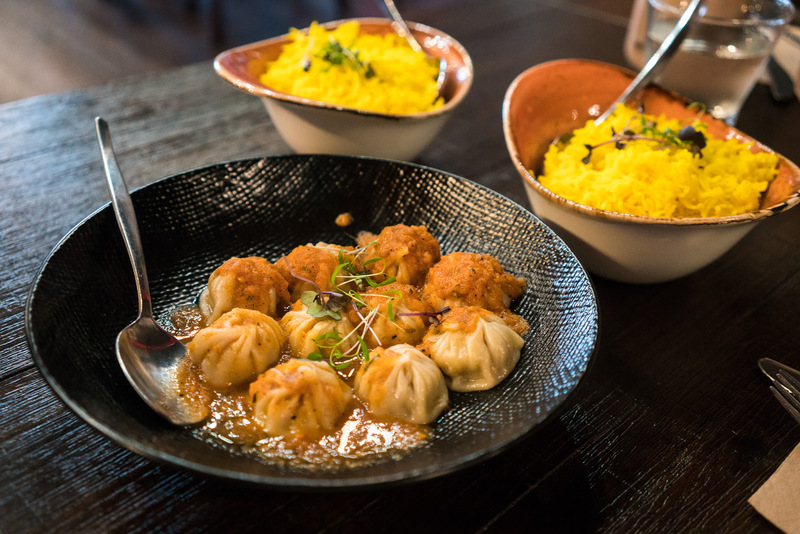 The dinner menu is mostly Nepalese with some very faint hints of Chinese infusion. The butter chicken was as good as any I've had, perhaps a tad bit spicier than usual though. The chilli chicken wasn't as spicy as it sounded and was quite nice. The naan bread I believe is made in house right down to the milling of the grains. I admire the effort but the wholemeal taste and texture were not ticking my boxes. 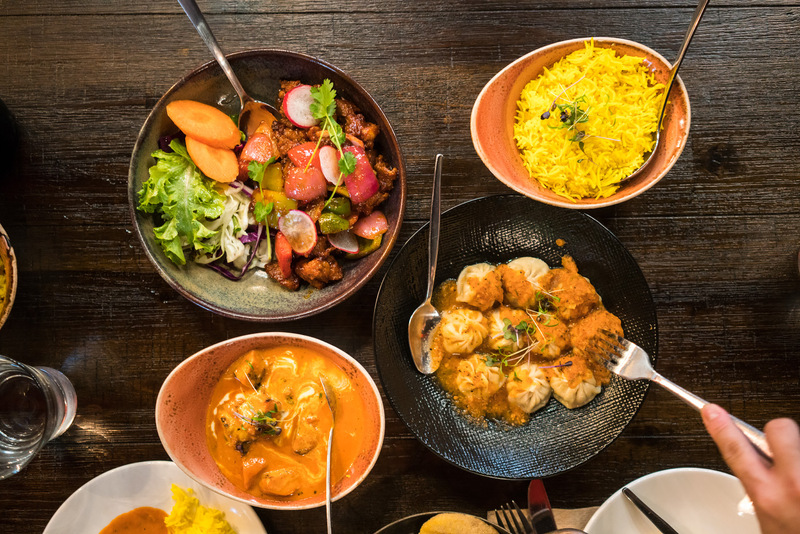 Quite a few sizzling combo plates were brought past our table with the smell wafting through the restaurant and tantalising our tastebuds. Definitely worth a try next time I think. It's BYO here, which seemed very popular with the 30+ wine drinking lot. The ladies on the table next to use weren't messing around and brought some serious equipment and drops along. They probably passed out on the couch at about 2am, but I wasn't sticking around to find out. The kids menu was a bit sad with not many options so there is definitely room for improvement here. The grilled chicken I ordered for the little one was bland and had too much pepper, I don't think most parents would even eat it. It's not hard to please a kid really - just go with the holy trinity of sausages, nuggets or chips and the young'uns will be happy. I prefer quiet places to eat, drink and chill - Yogi's fits the bill perfectly in this regard. 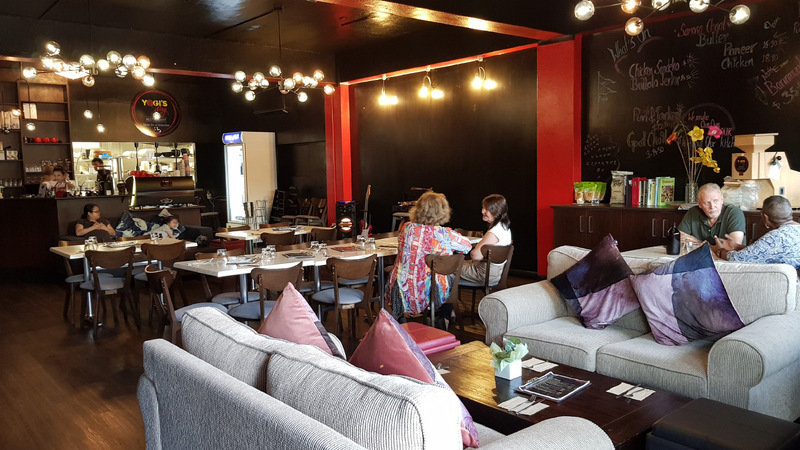 The interior design is inviting and evokes a sense of calm - on one side of the room there is floor to ceiling artwork and on other walls there are menu specials drawn in chalk. For a place with such a dark interior, it is rather cozy and inviting. There are a couple of really comfy couches which you can sink your backside into — but be warned, you may not want to get up. The music playing the times we went consisted of relaxing traditional Nepalese music, played at a nice soft volume which I really appreciated. I think far too many dining establishments play their music waaaay to loud — if I wanted to hurt my ear drums I'd go to a night club. Service was friendly and satisfactory, no complaints here. I've seen the owner on every time I've visited so you know there is someone steering the ship at all times, both back and front. The only complain I have is that it is rather warm inside, I think their front air-con is busted and has been for quite some time, hopefuly they address this soon. Other than that, highly recommended.